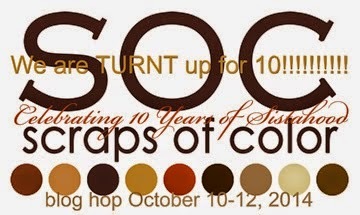 I hope you're enjoying day two of the SOC Turnt Up for 10 blog hop! I have loved celebrating with the other bloggers and seeing their awesome creations! If you're following the hop, then you arrived here from Cheryl's amazing blog: http://www.onecraftyncpeach.blogspot.com/! One of the things I love most about SOC is the fact that it's so inspirational! The talent found in the SOC community always inspires me to explore the different facets of my creativity. So today I wanted to highlight and celebrate some of the great things you'll find in the Scraps of Color community by creating a little video. Take a look...! Okay so *clearly* I'm not a digital media professional! LOL But I had fun making this and I hope you enjoyed it! And if you haven't signed up for SOC yet-- what are you waiting for?! Join in on the fun!! Alrighty, that's it from me today! 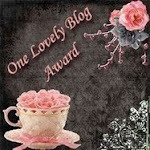 Head on over to Kimberly B's blog- I know she has something excellent waiting for you: http://mypolkadottedbliss.blogspot.com/! Have fun with the remainder of the hop! I got my dance on!!!! I can't dance, but I was definitely bobbing my head! LOL! What a great way to celebrate all of the things SOC means to us. Thank you for that! Fun!!!! I'm glad I decided to do this. LOL! That was way cool!! You got skills, girl!! Awesome girl, turn down fa what! What do you mean you're not a media professional...that was awesome! Now I will have that song in my head all day!! Thanks for putting a different spin on the blog...loved it! That was too cute, like your video!